Heterosphecia pahangensis Skowron, 2015 looks and flies like a bee. This species was described in 2015 by The ClearWing Foundation’s Vice-Chairman, Marta. Clearwing moths are known to resemble bees and wasps visually, but it was unclear to what extent they mimic their models behaviourally, if at all. 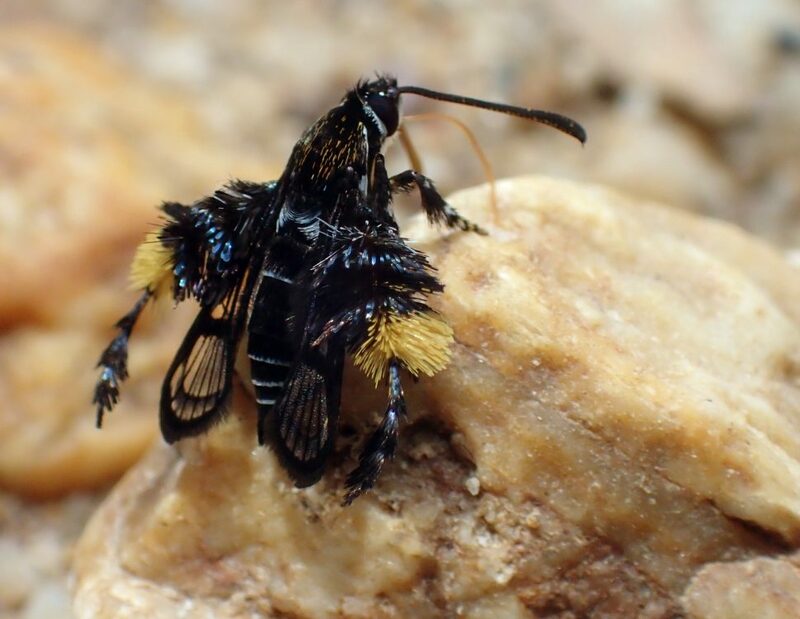 Marta Skowron Volponi’s and Paolo Volponi’s Biology Letters study found that bee-mimicking clearwing moths tend to fly like bees, whereas wasp-mimics fly like wasps, suggesting that the moths mimic more than just their model’s appearance.